I think we can all use more organization, more purging and more attention to where we are putting things. I know this is especially true when you have a small pantry to keep organized. Our little pantry has gone through a few phases since we built it and, ultimately, has been crammed to the brim for quite awhile now. I’ve finally had enough though and am going to take you through the process of of my small pantry organization and hopefully through that, you’ll find tips and tricks to keep your pantry organized! 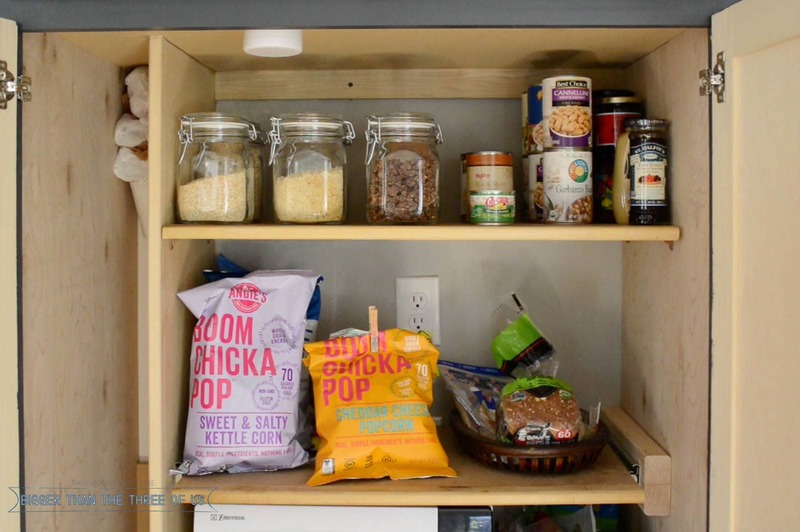 When thinking about how to organize a small pantry, I think the first thing you need to do is take everything out of your space. 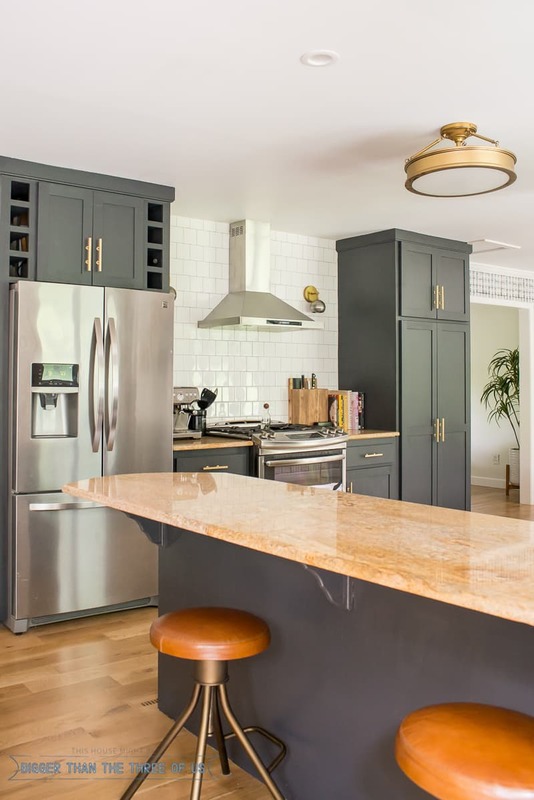 This allows you to evaluate what all you have in your space, what you need in your space and how better these items might fit on the shelves of your pantry. Since you have everything out of your pantry, now is a good time to do a deep clean of the shelves, wall and ceiling inside the pantry. I know in our space, the bottom shelf collects dust so I focused quite a bit on it. Step number two is to check dates on all your food items and purge! 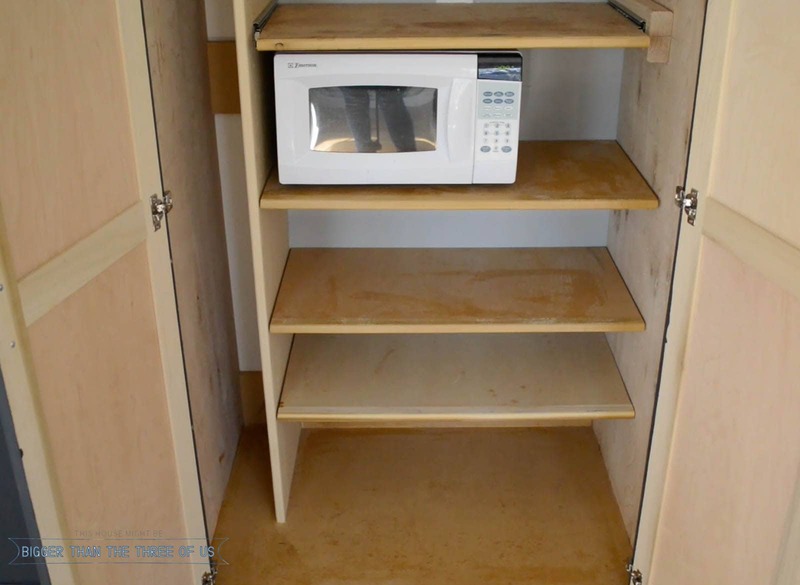 Then, think about your boxes or bins and how you want them to contain your pantry supplies. 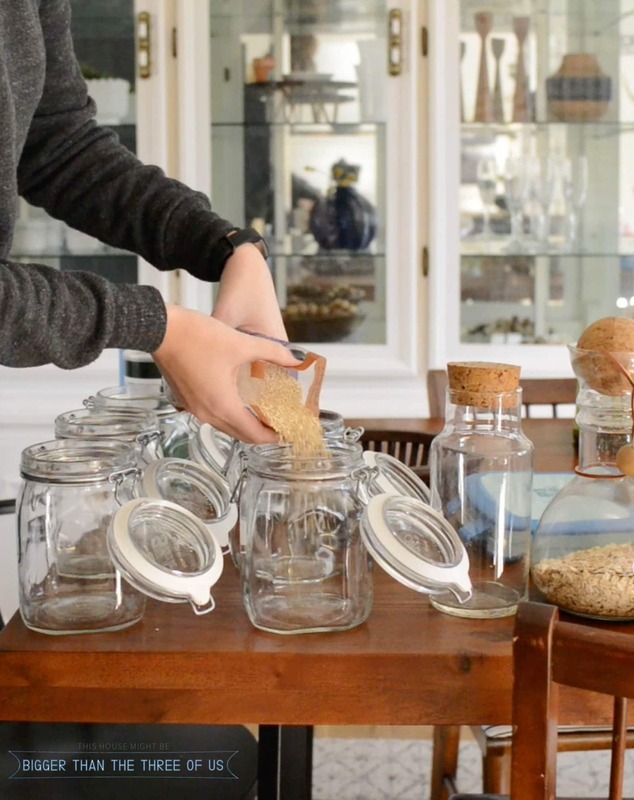 If you are like me, then you might do well with glass storage jars. I like being able to see what is in each jar, how much of each item I have left and, as a bonus, I feel like the glass storage jars in the pantry are cute. Cute organization is always a win in my book. 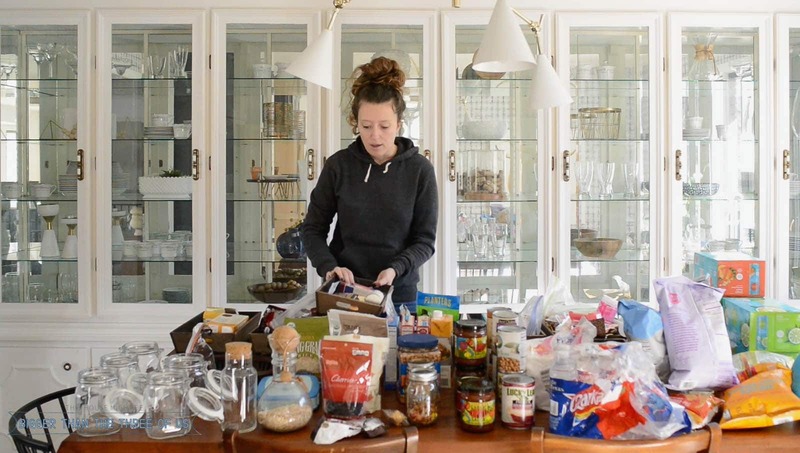 Watch my pantry organization video for more tips and tricks! Check out how to create a coffee station with a small pantry or how we organized our pantry the first time around if you are curious!